Most of us were just not born with naturally long eyelashes. Or we were and as we have aged our lashes are taking a tumble on us. Like most things these days, we can fix that. Re-gain the lashes of your youth. Perk up tired eyes. Save time on your morning routine. All are great benefits found with Semi-Permanent Individual Eyelash Extensions. Do you wish for the long lashes you see on so many celebrities? Do you wish for the full lashes of your youth? Are you experiencing a tired look that doesn’t naturally reflect how youthful you feel? Many of us are not fortunate enough to have long and thick lashes naturally. Thankfully, we can now get the lashes of our youth back with semi-permanent individual eyelash extensions. We can perk up tired eyes, save time in our daily routines, and experience long, full lashes. Eyelash extensions have gained tremendous popularity in the last few years because of their natural look, ease of application, and affordability. With semi-permanent eyelash extensions, eyelashes are made thicker and longer through professional application of a synthetic eyelash that is curved to replicate a natural lash. Extensions are applied one lash at a time with care and precision using special bonding agents for a completely natural look! The result is thicker, longer eyelashes that are safe in the shower, while swimming, sleeping or exercising. Eyelash extensions are perfect for any woman. Your extensions can last up to five weeks depending on the life cycle of your natural lash, your eyelash characteristics, your lifestyle and the care of your extensions. Your initial appointment could be 60 to 90 minutes, depending on your set size choice. As your natural lash grows, your extension grows with it! 30 to 60 minute Refining Applications are recommended every 2 to 4 weeks to keep your set fresh. Timeframes can vary person to person depending on your custom wants and needs. The process is tailored to the individual. Choose a technician who has a professional license in Esthetics or Cosmetology and has been professionally trained by a reputable company. A technician should only be using quality adhesives and lashes, no cluster lashes or anything glued directly onto the skin. There should be no damage to your natural lash with the application extensions. Your technician should also have an artistic flair when applying your lashes and be able to answer any questions you have about the process and products used. Extensions vary in length, width and curl. The right combination of these is needed to achieve your custom look. Experience and attention to detail are what matters the most. At Lasting Looks, our licensed Eyelash Extension Specialists will work diligently with you to provide your desired look – a soft, natural enhancement or a bold, glamorous statement! Whether you are looking for a time-saving, everyday look, lashes for all your holiday events, a professional look for a business portrait or a weekend away, Lasting Looks has the professional, perfected technique, applied by a licensed, certified and experienced Eyelash Extension Specialist. Safe and affordable, trust your eyes to Lasting Looks! 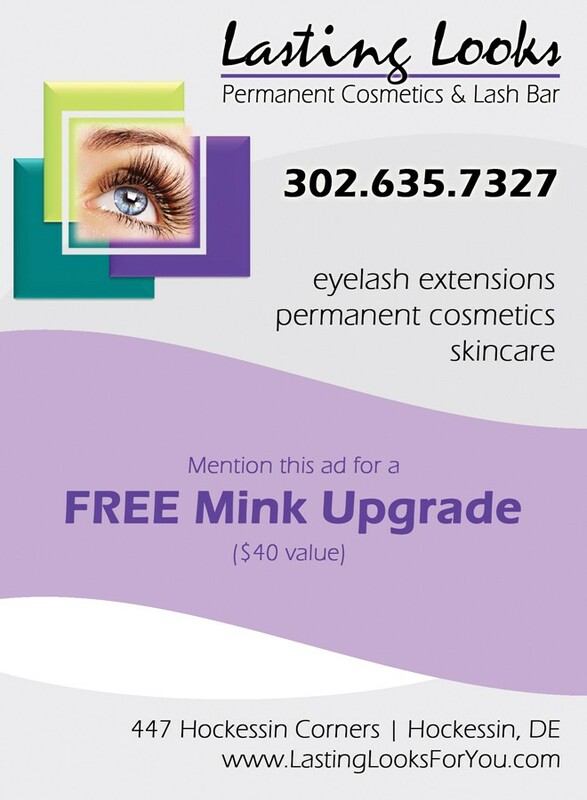 Visit our website at www.LastingLooksForYou.com or call us at (302) 635-7327.
Who would benefit from eyelash extensions? 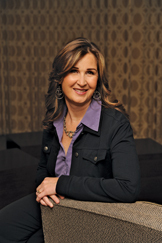 Lasting Looks is a unique day spa in Hockessin Corner – next to the Back Burner Restaurant and Jennifer’s Bridal. Our mission starts with the desire to empower women to take charge of their appearance and to put their best image forward. Our staff of estheticians can help meet all your skincare needs, as well as our unique services like eyelash extensions and permanent cosmetics.